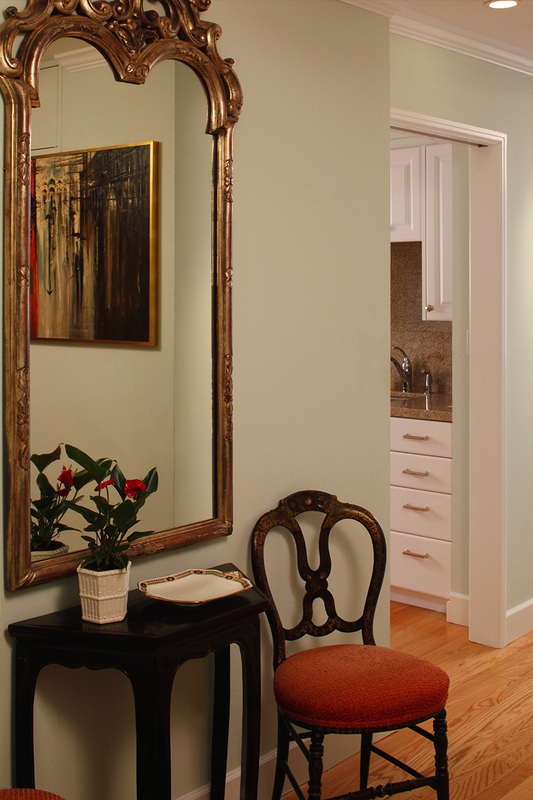 This project was for one of two friends who owned condos with identical floor plans in a prominent San Francisco retirement facility. 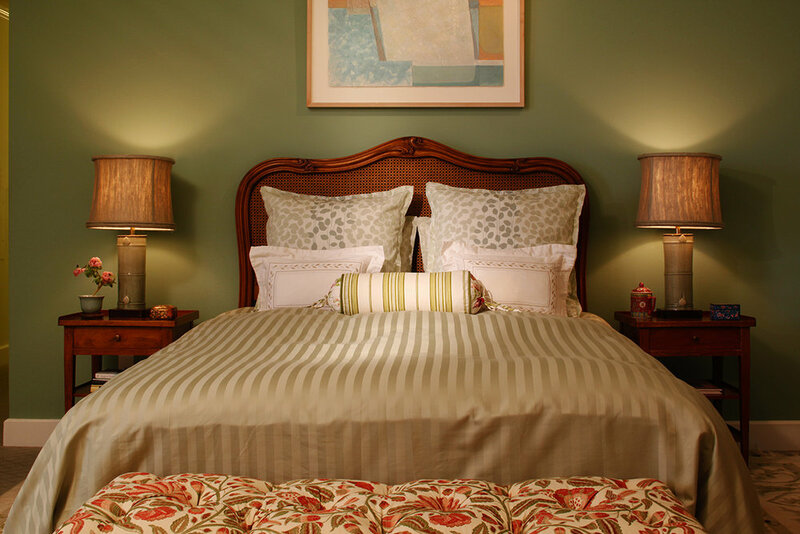 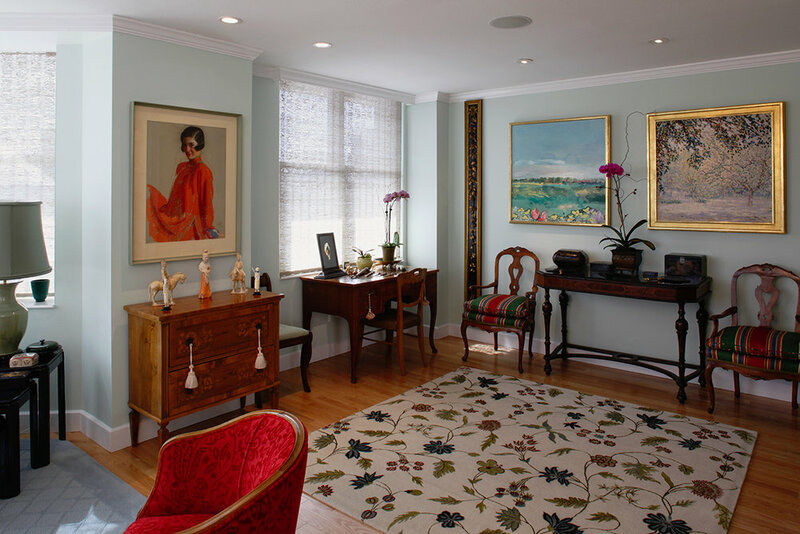 This client enjoyed a more traditional style in terms of art, furniture and colors. 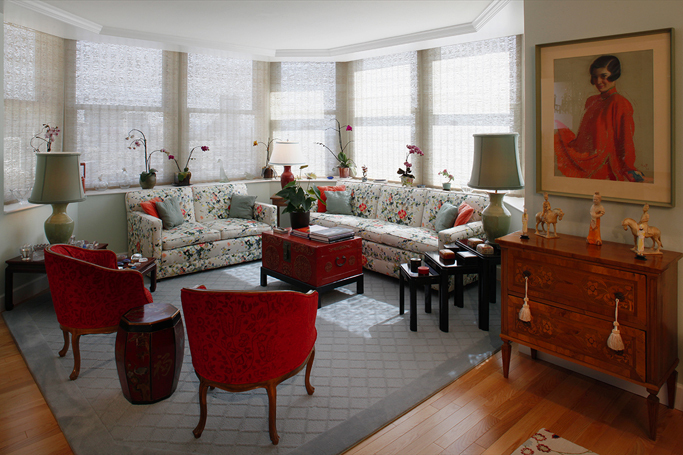 We incorporated into the design pieces she had collected over the years as well as family heirlooms. 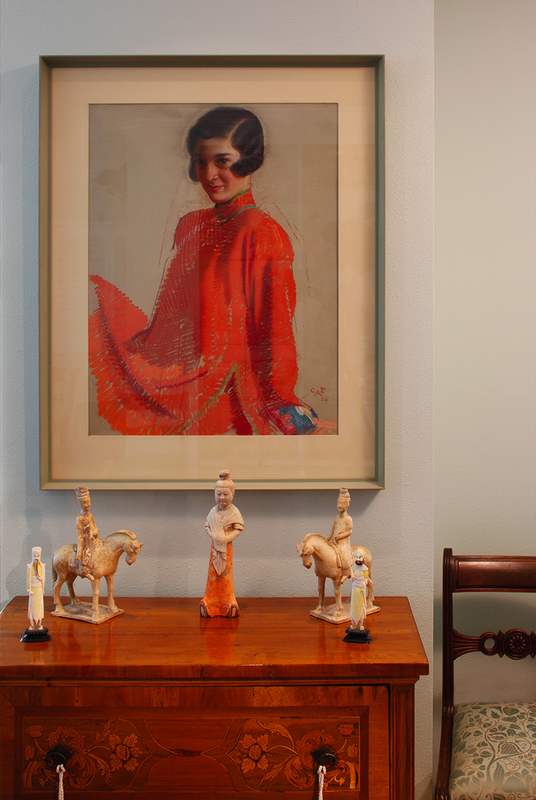 We worked together to decide which pieces she should bring with her from her former home and how to place them in her new space.